Barry Allen isn’t slowing down. 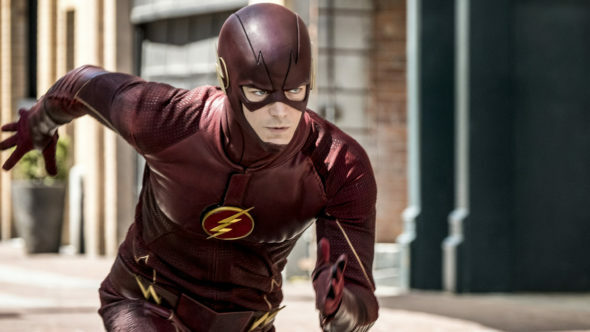 The CW has announced that The Flash TV show has been renewed for a sixth season. It will be part of the 2019-20 broadcast season. The fifth season of The Flash is averaging a 0.66 rating in the 18-49 demographic and 1.81 million viewers. Compared to season four, that’s down by 17% in the demo and down by 18% in viewership. The show is The CW’s highest-rated series and is part of the channel’s superhero stable of shows so there was no question that it would be renewed. Today, The CW also announced that nine other TV shows had been renewed for the 2019-20 season: Arrow, Black Lightning, Charmed, DC’s Legends of Tomorrow, Dynasty, Legacies, Riverdale, Supergirl, and Supernatural. The fates of All American and Roswell, New Mexico have yet to be announced. What do you think? Do you like The Flash TV show on The CW? How long do you think this series should run (pun intended)?